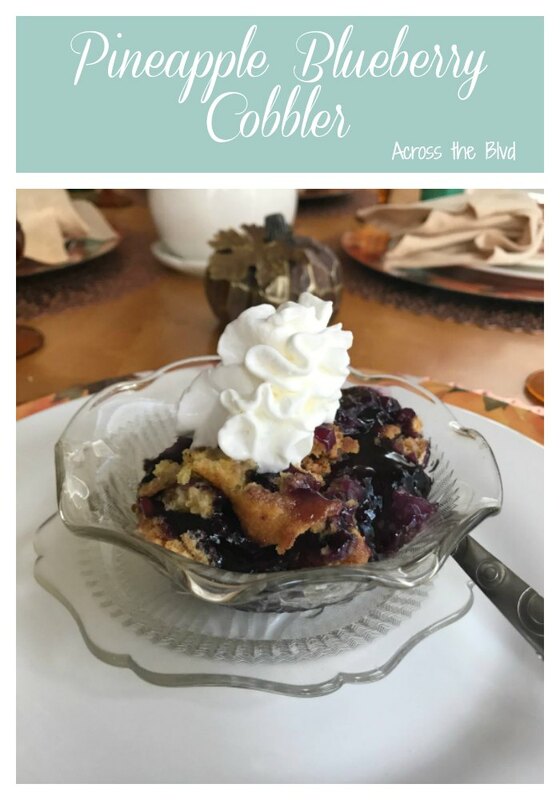 Pineapple Blueberry Cobbler is a quick and easy recipe that’s sure to be a hit. This recipe starts with a basic yellow cake mix. It takes very little time to prepare it and pop it in the oven. It will fill your home with a wonderful aroma. 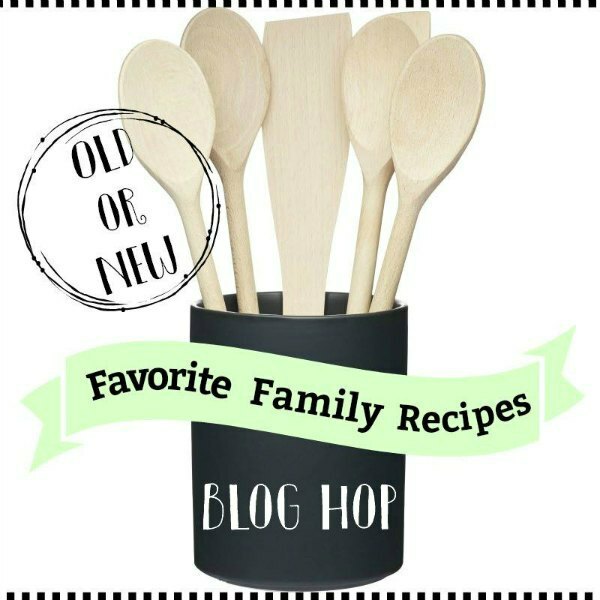 It’s time for this month’s blog hop challenge and we’re sharing a favorite family recipe. 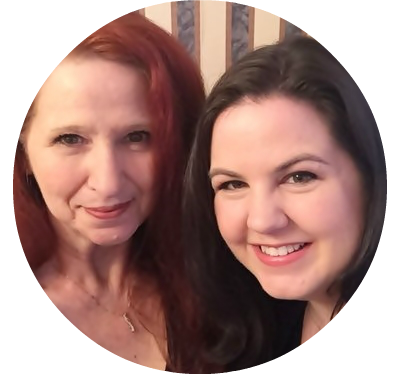 Links to the participant’s favorite family recipes can be found at the bottom of the post. 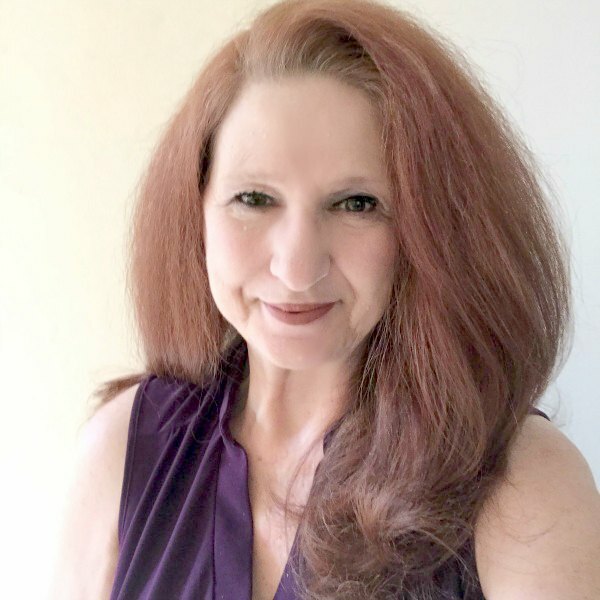 I hope you’ll stop by for some recipe inspiration. 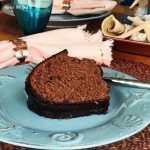 This is such an easy recipe and it’s one that I’ve been making for years. 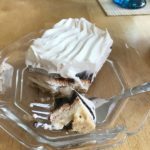 It’s a great go to recipe for a delicious dessert that takes very little prep time and only has four ingredients. 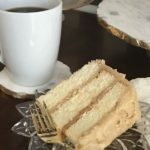 Using a box cake mix keeps the recipe simple. Use your favorite brand of yellow cake mix to save on time and ingredients. Pineapple Blueberry Cobbler is an easy dessert to make for a group. Little prep time is needed and it only has 4 ingredients. Bake for 45 minutes, check to make sure the top isn't getting brown and continue baking for an additional 10 minutes. The top should be golden when done. If necessary, set oven to broil for no more than 3 minutes. Serve individual servings in small dessert dishes. Top with vanilla ice cream or whipping cream if desired. This is best served warm, right out of the oven, but it can be refrigerated and re-heated prior to serving. 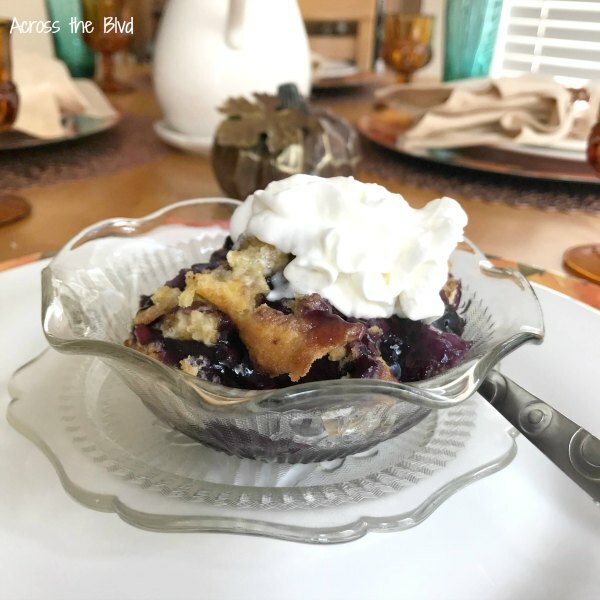 Serve pineapple blueberry cobbler in pretty dessert dishes and your guests don’t have to know that it only took minutes to prepare. While this is delicious without any toppings, a scoop of vanilla bean ice cream gives a great combination of warm and gooey with soft and creamy. A dollop of whipped topping is great, too. This has been a family favorite of ours for about as long as I can remember. It was often the go to dessert for Sunday dinners when I was a child. Try out some of our other favorite family recipes. 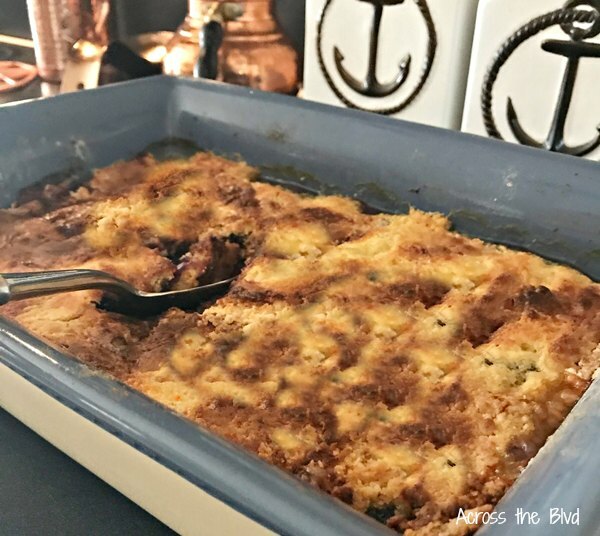 Be sure to click below to find out how others met this month’s favorite family recipe challenge! I’ve heard them called that, too, but that name never sounds very appetizing to me. 🙂 This flavor combination is tasty. Thanks for pinning, Marci. Beverly this looks so yummy! I want it now. Pinned and shared! Thanks, Carol! I appreciate the shares! 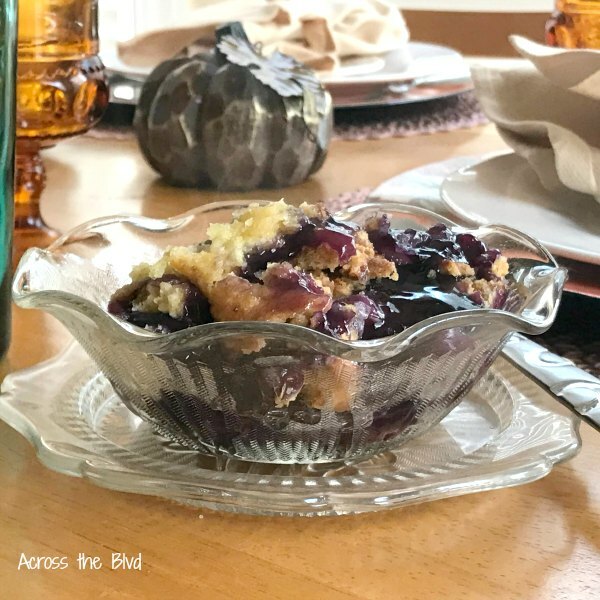 My grandmother and mother make this recipe, and I have made it a couple times as well, but we use cherry pie filling. The crust is so yummy! Pinned! It’s such an easy recipe that can be altered with lots of different flavor combinations. I love using apple pie filling sometimes. Thanks for pinning, Kristin. Love me some Pineapple and blueberry. This is a wi for me. Thanks Beverly. Plus, it’s easy to make so that makes it even more of a win! Thanks, Michele. What a yummy combination. I love easy recipes with cake mix. Pinning to try! I love finding ways to use cake mixes, too. Thanks, Jenny. I appreciate the pin. I hope your family enjoys it! This looks and sounds delicious, Beverly! And I love that it has only four ingredients! Pinning! Thanks, Gail! I love simple recipes like this. Thanks for pinning! 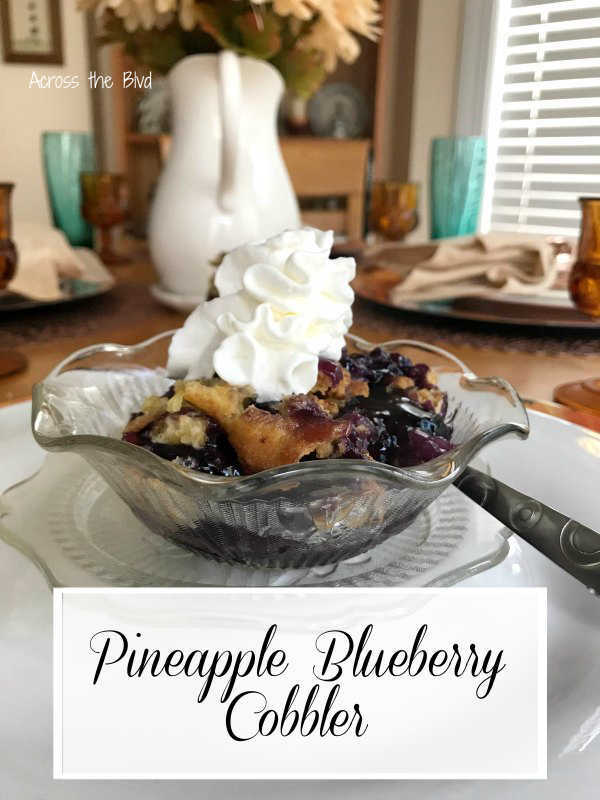 This sounds like such a great combination of flavors with the blueberries and the pineapple and I think the idea of using a cake mix for the cobbler is downright genius! Pinned. I love this combination, thanks, Joanne. Using the cake mix is an easy short cut. Thanks for pinning! My sons would absolutely love this! I love that it is so easy to prepare. After my recent fail, maybe I could make a comeback with this one! Pinning to share. Your recent “fail” still looked like it was delicious. 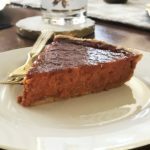 This recipe is easy and can be changed up with different pie fillings. Thanks for pinning! We make a similar dish using Cherry Pie filling and call it Cherry Crunch. 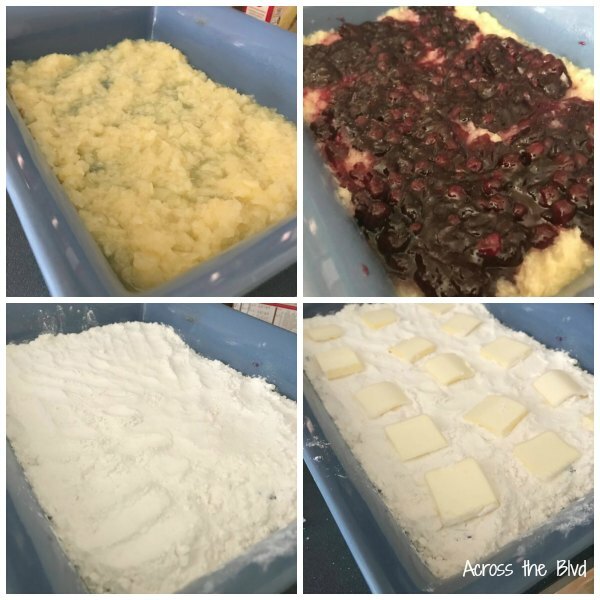 It’s so good, I know your Blueberry recipe is good! Such an easy dessert too! It’s such an easy recipe and it’s great that it can be changed up with lots of flavors. Thanks, Shirley! That looks so delicious and easy! I love that you can change up the filling to other flavors too. 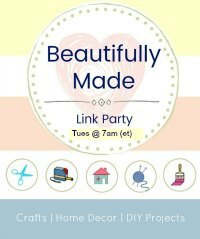 Thanks so much for sharing with us at the Whimsical Wednesdays Link Party! Thanks, Michele. It is a super easy recipe that tastes great. Thanks for the party!